Ooutdoor Security Systems | We refurbish motors, do upgrades and supply replacement remote controls. We work on both swing and slide gates. 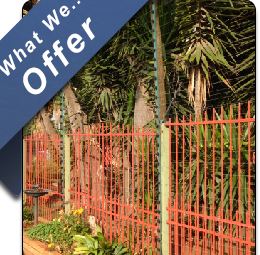 The Nemtek fencing systems OUTDOOR SECURITY uses is a pioneer in its field and the benchmark for the security electric fencing industry. Nemtek products have become a household name and are now being specified by many governments, local authorities and industries as the product of choice to protect their utilities, correctional facilities and defence infrastructures. 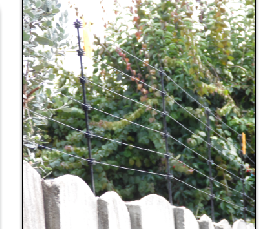 The Nemtek products range addresses many types of fencing needs ranging from domestic, retail and commercial, to airports, power stations, defence facilities and utilities. Nemtek's experience in the security field has revolutionised the way game farm and animal farm energizers are designed, not only to keep animals in, but now they also offer security experience and communication techniques to combat the theft of animals by poachers. 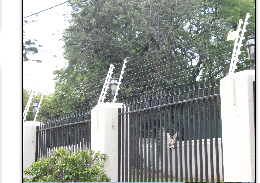 OUTDOOR SECURITY SYSTEMS uses 1.6 mm and 2.0 mm Braided and Aluminium solid wire that has a very low electrical resistance allowing long fences to be powered up from only one energizer. At the same time its high resistance to corrosion offers a long life span on the fence. 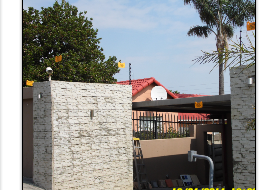 OUTDOOR SECURITY installs, repairs and services CENTURION Gate Motors and intercom systems. We refurbish motors, do upgrades and supply replacement remote controls. We work on both swing and slide gates. We use only the best products and parts on the market and can also change your motor to a battery backup system to ensure that your gate will operate during a power failure. We specialise in Centurion heavy duty and normal swing and slide gates. Popular motors include Centurion D3, D5, D10, Vector and R series. Centurion Gate Motors have been manufactured in South Africa for many years, are reliable, fast and will offer you many years of operation. It is very important that a reliable, good quality motor is used, and that spares and parts readily available. Other factors to consider are battery backup, speed, safety and convenience during a power failure. OUTDOOR SECURITY SYSTEMS offer a 2 year Warranty on equipment and a 1 year warranty on workmanship. Nemtek energizers and products have a quest for excellence and continual improvement of all our products and systems. We are accredited with the Department of Labour to issue Certificate of Compliance.